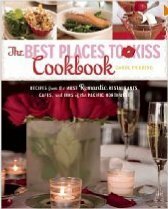 Last year, the Best Places to Kiss Cookbook came out. 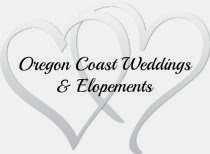 Sandlake Country Inn for many years has been listed in the book Best Places to Kiss in the Northwest with the highest rating of 4 lips (Simply Sublime). We were very fortunate to be featured in this new cookbook! A couple of days ago I was browsing through the cookbook and I came across a recipe that I can't wait to try. Our breakfasts here at Sandlake Country Inn are based on real comfort food. This new recipe, while not for breakfast, screams real comfort food to me! I haven't tried it yet, but I thought I would share it with you. It uses local ingredients and if you try it before I do, let me know what you think! We would use Tillamook aged white cheddar, local dungeness crab & Oregon hazelnuts. It's Oregon's Bounty! Preheat the oven to 400 degrees F. Cook the pasta in boiling water, following package directions, until it is not quite al dente. Drain and let cool. In a medium saucepan, bring the cream to a boil over high heat. As soon as the cream boils, add the cooked pasta. Bring back to a boil and stir in the cheeses and mustard. Bring the mixture back to a boil and add the crabmeat, Tabasco and salt. Remove from heat and season to taste with pepper. Put the crab-pasta mixture in a greased casserole dish and sprinkle with the hazelnuts, Bake until hot and bubbly, 15 to 20 minutes. Variation: Fpr am attractove [resemtatopm. bake the crab macaroni and cheese in clean crab shells. Ask your neighborhood fishmonger to save four crab shells for you to clean and bake in. Preheat the oven to 400 degress F. Place the shells on a baking sheet, carefully fill with the crab-pasta mixture, and sprinkle with the hazelnuts. Bake until hot and bubbly, 15 to 20 minutes.